It’s the night of the 90’s at Club Kiwi! Join us for a night of dancing to hip-hop legends Biggie, Snoop Dogg, Jay-Z, and the very best of 90’s R&B. Any requests from the 90’s urban era? Send in your song requests on Facebook messenger and we will pass them along to the DJ! 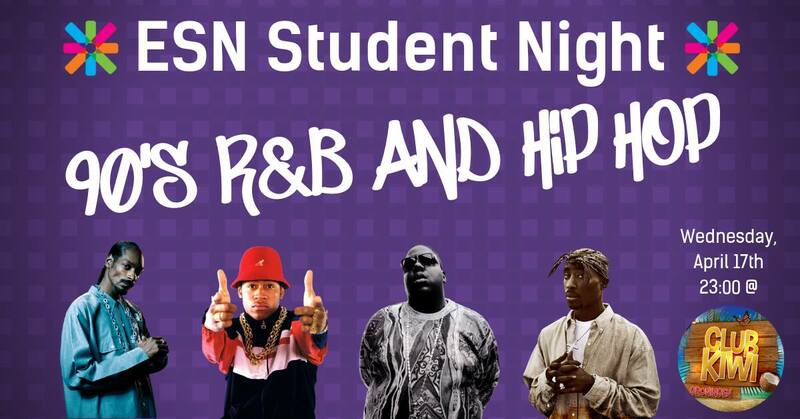 The Student Night is open for everyone – you do NOT need an ESN Card to get in and entrance is FREE.